OTTAWA: Canada on Wednesday became the world´s first major economy to fully legalize cannabis, sparking celebrations as the nation embarked on the controversial experiment in drug policy. Scores of customers braved the cold for hours outside Tweed, a pot boutique in St John´s, Newfoundland that opened at midnight, to buy their first grams (ounces) of legal cannabis. Ian Power said prior to its grand opening, he was happy to "make history" by being the first to legally buy pot in Canada, adding that he would frame those few grams rather than smoke them. "I´m elated. I´m so excited, I can´t stop smiling. I´m not cold. It´s freezing cold out, but I´m not cold," he said. In Cape Breton, platinum record-selling fiddler Ashley MacIsaac was among the first buyers, while in Toronto revelers attended a "Wake and Bake" party with music, a glass pipe blower and campfire treats. "It´s fun, good for the soul, and now legal so we don´t have to stress about that any more," Sebastien Bouzats from Montreal told AFP. "We don´t have to hide it any more." "I did not honestly expect to witness the legalization of cannabis in my lifetime, and I am proud to be a Canadian as we take this monumental step towards providing access to cannabis," Toronto resident Katie, 27, told AFP. Legalization has sent stocks in pot companies soaring over the past year on the Toronto and New York stock exchanges (before retreating five percent on Wednesday), but has also been sharply questioned by some health professionals and opposition politicians. "I don´t drink much alcohol, I don´t drink coffee, I have no intention of using marijuana," Trudeau, who has admitted to smoking pot in the past, said Wednesday. In parliament, he also lamented that prohibition had had a "disproportionate and unfair impact on marginalized and racialized communities." How well it goes could have an impact on Canada´s next election in 2019, and on whether other countries follow in its footsteps. "When people start to see the consequences (of legalization) they will blame Trudeau´s failures for it," opposition Tory leader Andrew Scheer commented. In the United States, recreational cannabis has been legalized in eight states, while countries such as the Netherlands and Spain have decriminalized pot possession. "There is no question that the world is watching Canada," Justice Minister Jody Wilson-Raybould told a press conference. Under the new regulations, Canadians at least 18 or 19 years old may buy up to 30 grams of cannabis, and grow up to four plants at home. A patchwork of private and public cannabis retail stores and online sales have been set up across the 13 provinces and territories, ramping up to 300 storefronts by year´s end, the government predicts. The new industry has attracted billions in funding, as well as interest from major alcohol and soft drink makers in developing cannabis infused drinks. Cannabis sales are forecast to boost economic growth by up to Can$1.1 billion (US$847,000) and provide a Can$400 million tax windfall for the government, according to official data. It´s still unclear if legalization will undercut the black market. Prices for illicit pot have plunged to an average of Can$6.79 per gram, and most legal sellers are charging more. Bill Blair, a former Toronto police chief who is Trudeau´s pointman for legalization, remains optimistic, as a leaked memo said it could take four years to displace the black market. He acknowledged that criminal enterprises that have long controlled the pot market and have reaped billions in profits a year "are not going to go gently into the night." 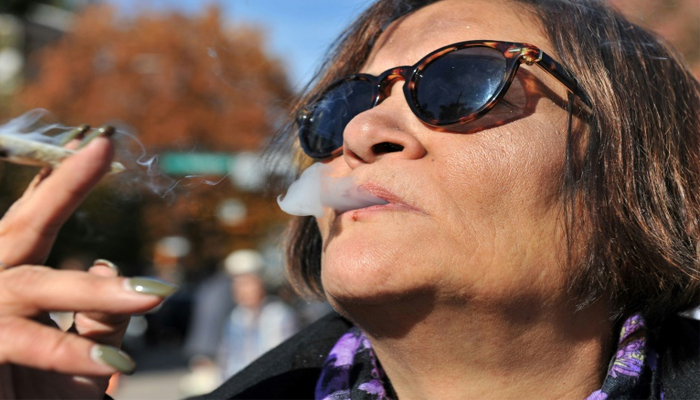 Public health officials contend that smoking cannabis is as harmful as tobacco, but welcome an opportunity that legalization affords for open dialogue. US Customs and Border Protection warned they won´t admit anyone arriving with the intent "to aid in the proliferation of the marijuana business." Even though some US states and localities, including the capital Washington, permit medical or recreational pot use, the CBP warned that the drug remains illegal under US federal law, giving them the responsibility to fight its use and promotion.